• VALERIANE : known for its destressing properties and soporific effect. It is used also for hysteria and sleeplessness. • PASSION FLOWER : known also for its use for hysteria, sleepless- ness. It is used as a tranquilliser and soporific. • HAWTHORN : used for sleeplessness and know for its destressing properties. • Dog: 1 tablet / 10 kg weight / day. • Cats: 1 tablet / day. • Give the tablet alone, with food, or crushed with something the pet likes. 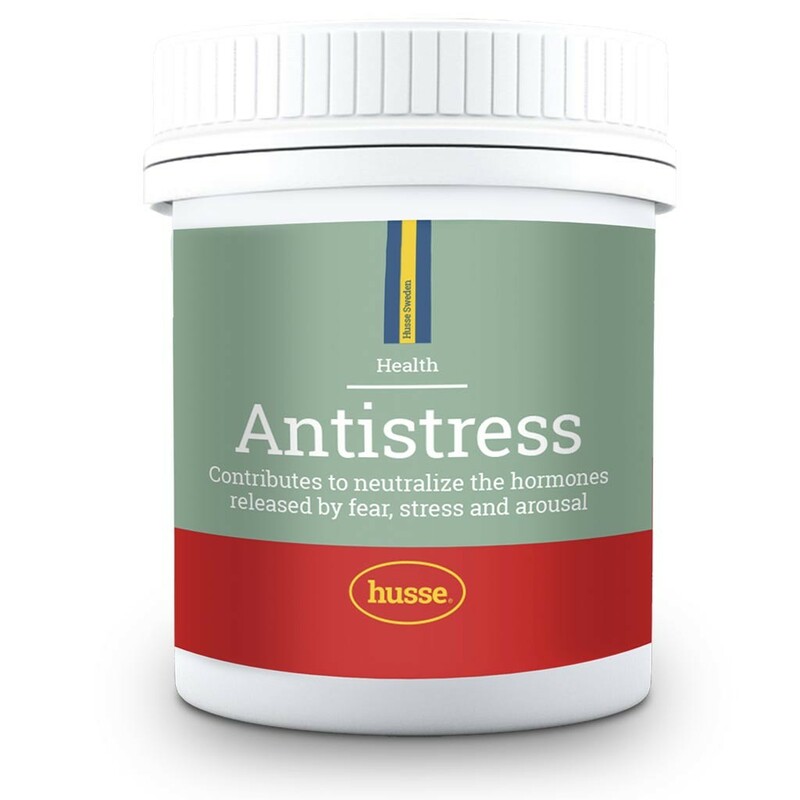 • The product can be given 5 days before a stressful event and on the day of the event. • Product is safe to use during pregnancy, lactation and for puppies or kittens and it does not cause drowsiness. 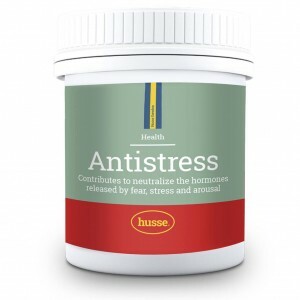 • If animal is under stress for a long period of time, ANTISTRESS can be given every day continuously. • Do not give to males during breeding season. valerian, passion-flower, hawthorn, binding agents. ANALYTICAL CONSTITUENTS: protein 0.02%, cellulose 0.4%, fat 0.01%, unrefined ashes 10.6%, traces of: lysine, methionine, sodium. ADDITIVES: Amino acid: 3.4.1 L- Tryptophan 8%.